"Overall a decent homestay with prompt services." Have a question for BLUE BRIDGE HOMES? "Breakfast was very simple and tasty!" "The stay was very comfortable." "We liked our stay it was comfortable and the staff was also..."
Renovated in 2013, the BLUE BRIDGE HOMES guarantees guests a pleasant stay whether in Andaman and Nicobar Islands for business or pleasure. From here, guests can enjoy easy access to all that the lively city has to offer. With its convenient location, the hotel offers easy access to the city's must-see destinations. BLUE BRIDGE HOMES also offers many facilities to enrich your stay in Andaman and Nicobar Islands. Top features of the hotel include 24-hour room service, 24-hour security, car power charging station, daily housekeeping, grocery deliveries. Step into one of 5 inviting rooms and escape the stresses of the day with a wide range of amenities such as television LCD/plasma screen, free welcome drink, mirror, private entrance, sofa which can be found in some rooms. The hotel's recreational facilities, which include badminton court, boats, water park, snorkeling, skiing are designed for escape and relaxation. Discover an engaging blend of professional service and a wide array of features at BLUE BRIDGE HOMES. "The owner and the caretaker are very friendly people." So we stayed here for 4 nights and it was a homely experience. The Aunty is warm and welcoming. She arranged transportation for us when we needed, recommended us places for shopping and food. Shakti and Manojit were always on their toes to help us with anything. 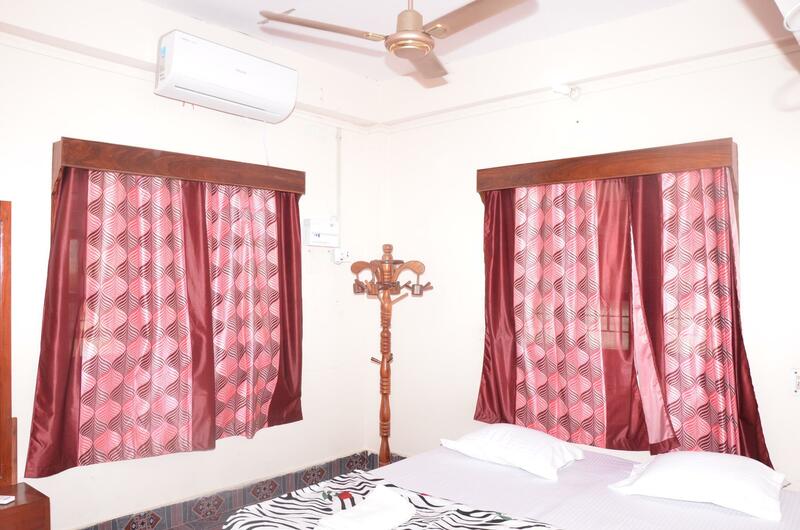 The rooms were clean with basic facilities, AC and TV. Though the only room with a view is room number 5 on top floor (which we had), there is a common gallery where u can enjoy the view and sit with a chair and chill. Its a homestay, so don't expect 3 star services and room service, but if asked nicely they will arrange anything for you. Shoutout to Tyson the resident pet, cute and furry German shepherd. considering the value of money this is good to stay & cheaper . Sea view room is nice. very close to aberdin bazar, celular jail & ross island jetty. breakfast could have been more better. Really happy with the hospitality and personal care by the property owner. We booked 2 rooms and found best service and location and very co-operative staff. Everyone in our group liked service,property and location. No lift facility is there. Breakfast is very limited in terms of quantity and variety. Except this 2 drawbacks everything was fine. Located near to the market where all things are available. As per Agoda , I booked a top floor , but when we reached there, the owner aunti denied it and give us a ground floor room which had no view. We paid 5200/- but all is vain..I suggest everyone never book this property, if u want a joyful trip..
We had made a booking which dint reach them and on us reaching there, they made alternate arrangements for us in a place where we had no choice but to stay. The owner and the caretaker are very friendly people. The stay was very comfortable. The rooms were clean and very well maintained. 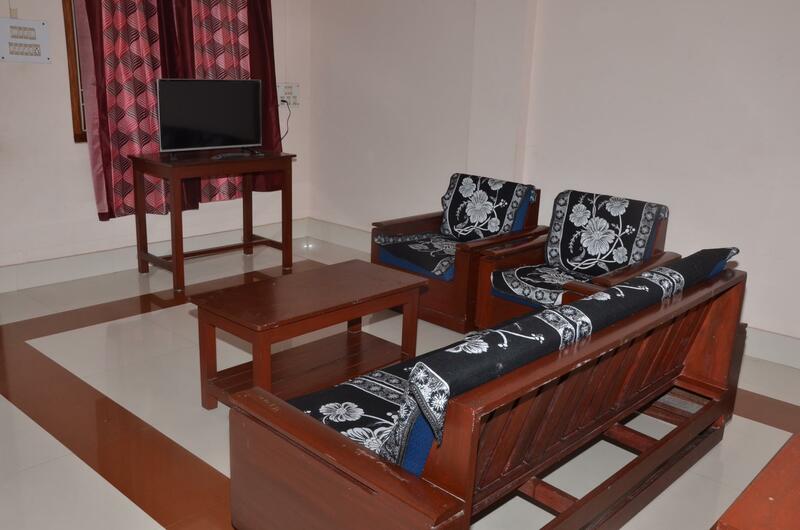 The home is also in prime location, with walkable distance to cellular jail, rajiv gandhi waterpark, and food joints. i have not traveled to port blair for some pursonal reason so cancelled our booking in time on sep.2018 but my account have been debited for booking through agoda.till know no refund. I had started interacting with Lokesh as soon as I did my booking. Lokesh has helped me in planning my tour. His suggestions on local travel during my vacation helped me saving good. Very caring and helpful staff. Rooms are adequate, clean and big. Will recommend to everyone.. The owner Lokesh was very friendly, so polite and the three of us got along with him in a short time. The place was nice, clean with prompt service. Good staffs and very supportive, even they helped me stay in the vacant room till the time 12:00 noon without charging anything extra. For any thing required, they always provide it on time. Only negative point is, they don't have restaurant, so no buffet in breakfast, you will have to ask for specific thing and it will be packed and delivered to your room. Comfortable and cost-effective stay with family and small children. Easy access due to its location and people are familiar with this property. We stayed here three nights - 4th, 7th and 10th Nov 18- Memorable Stay. Upsides are location, cleanliness of the property and warm, non-meddling behaviour of the owner. Downsides are none in my opinion. Our family stayed there for 4 days and we thoroughly enjoyed our stay. It was more like a home than a hotel. This was the second home-stay we every used. The owner was very courteous and polite and when she saw we had an older child, she gave us a 1 BHK apartment instead of a single room without us asking her to do do so! The room was well kept and extremely clean. Simply furnished but very comfortable. The attendant was a young boy who was again very polite and helpful. The view from the terrace was breathtaking. Location is very good, very close to jail and Ross Island jetty entry. Room was clean but I had problem with water (top floor)..4 days of stay i struggled to get water for 2 days and few reminders ..Also property is ocean view (not rooms) but there is extension going on and new building is being made bang opposite and almost all the time huge noise and its completely blocking any possible view to ocean so dont expect ocean view Dont expect any help in terms of any booking or making of plan..prepare all by yourself.. To get jail light and sound show ( huge rush, returned few times without any luck), I had to get it thru some agents and owner of this property had no idea how to help get 2 tickets..
arrangements of foods was an improvement area, although facility was good. We booked a sea view room, and we were provided with a untidy room and the owner said they dont have sea facing rooms.